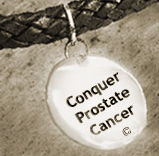 Conquer Prostate Cancer Now: Prostate Cancer Researchers Want You! Prostate Cancer Researchers Want You! A prostate cancer research study is embarking on a nation-wide survey over the next few weeks. Harris Interactive, a global market research firm, is conducting paid interviews with selected patients being treated for prostate cancer, and would like to include your opinions. They have invited our readers and prostate cancer patients throughout the United States to participate in a Patient Journey Qualitative Research study program. The interviews will be conducted one-on-one or in small groups depending on your availability or preference. The discussions will focus on your experiences with prostate cancer. If you qualify and complete the research, they will give you a cash honorarium of $250 to thank you for your participation. The researchers plan to conduct telephone interviews with respondents who live anywhere in the USA during the week of January 3rd, 2011.They will also interview people in-person in the Los Angeles and New York City areas on January 11 and January 13, respectively. Those who qualify for this research will help the cause of prostate cancer research and advocacy. Please consider calling one of these phone numbers NOW, while there’s still time to enroll in this important study.